This is a class for anyone about Inconsistency and Directionality… How can these twins 'twixt the 'twain together? 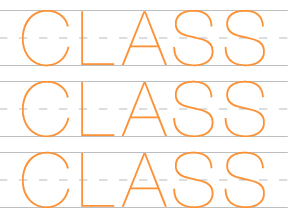 This class will take alignment as a structure to be warmed up, shuffled, upset and undone. Percussion and suspension meet scribbling in space. How can your restlessness, focus, desire, fabulousness and quietness be available at the same time and attempt to be specific? How can we support each other and be on our own sides? Can you dance The Royal We? Will Rawls is an independent dancer-choreographer working in New York City. For CLASSCLASSCLASS Rawls will be collaborating with multi-instrumentalist, fx-maker and electronic musician, Chris Kuklis, who also worked on Rawls' evening-length work, Census, at Mount Tremper Arts in July 2010. Together they will attempt to make people move, sweat, think and express their thoughts in action. Rawls' choreography investigates relations between the body, language and site-specificity. During his 2009 residency at Dance Theater Workshop, Rawls began developing The Planet-Eaters, an exploration of Balkan folk dance, wartime media strategies and social choreography. The Planet-Eaters will premiere at The Chocolate Factory in Fall 2012. He has also presented works at The Brooklyn Museum, Dance Theater Workshop, PS 122 and Danspace Project, among others. In 2010, Rawls was an interpreter in Tino Sehgal's "This Progress" at the Guggenheim Museum and re-performed works by Marina Abramovic at the Museum of Modern Art. With collaborator, Kennis Hawkins, Rawls performs as the duo, Dance Gang, which will present its installation, Dog Three, the final part of Dog Trilogy, in New York City in 2011. He participated in The Barnard Project, lecturing on critical theory and dance while creating a new dance with Barnard undergraduates for premiere at Dance Theater Workshop. In 2009, he produced the first ever documentary film about Movement Research and was appointed to the Movement Research Board of Directors. As a dancer, Rawls has performed with Shen Wei Dance Arts, Noemie LaFrance, nicholasleichterdance, Neal Medlyn, Katie Workum and with David Neumann / advanced beginner group since 2007. With these companies, he has appeared at The Kitchen, The Lincoln Center Festival, The Venice Biennale for Performing Arts and The Walker Art Center. Rawls holds a Bachelor's Degree in Art History from Williams College and was a 2008 danceWEB scholar at ImPulsTanz.